Cataract: A “clouding” of the lens in your eye. As light passes through the cataractous lens, it is diffused or scattered. The result is blurred or defocused vision. Patients now have an option. The AcrySof® ReSTOR® IOL Intraocular lens (IOL): An artificial lens that is implanted in the eye to replace the eye’s clouded crystalline lens during cataract surgery is a unique technological innovation that can provide you with quality vision throughout the entire visual spectrum – near through distance – with increased independence from reading glasses or bifocals! AcrySof® ReSTOR® IOL was designed to provide quality near to distance vision by combining the strengths of apodized and refractive technologies. Similar technology has been used for years in microscopes and telescopes to improve image quality, and has now been patented for use in intraocular lenses by Alcon. Apodized Diffractive Apodization is the gradual tapering of the diffractive steps from the center to the outside edge of a lens to create a smooth transition of light between the distance, intermediate, and near focal points. Diffraction involves the bending or spreading of light to multiple focal points as it passes through the lens. On the AcrySof® ReSTOR® IOL, the center of the lens surface consists of an apodized diffractive optic. This means that the series of tiny steps in that center area work together to focus light for near . 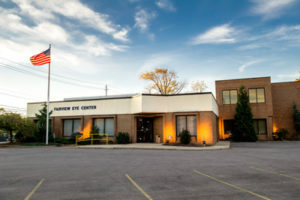 There are two manufacturers of Toric IOLs that are available to correct various amounts of astigmatism. 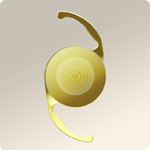 Your doctor will select the Toric IOL that is best suited for your eye condition. Toric IOLs are considered “premium” IOLs which means there will be additional costs associated with these lenses.